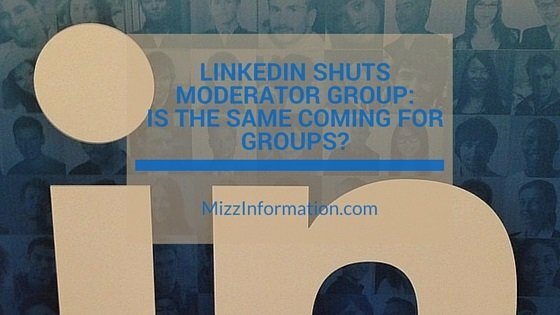 LinkedIn Shuts Moderator Group–Is the Same Coming for Groups? 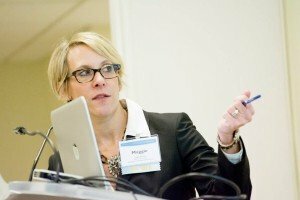 You are here: Home / associations / LinkedIn Shuts Moderator Group–Is the Same Coming for Groups? The Group Moderator Community Group is intended to allow you to ask fellow members questions about how to most effectively manage, engage, and nurture your LinkedIn Groups. It’s also a great place to share best strategies, key insights, and knowledge in order to help others. We want this to be a place where healthy discussions grow, and as such, any hostile, antagonistic, or disrespectful posts will NOT be tolerated. Additionally, if you have general or technical feedback on the Groups product itself, please use the Feedback button. It’s been a super active group with 7,442 members, all trying to navigate LinkedIn’s always-worsening Group experience. Because despite the fact that there are a billion reasons not to have your group live on LinkedIn, tons of us (including my org) still do–which you’d think is something LinkedIn would be happy about, especially given their tanking stock. 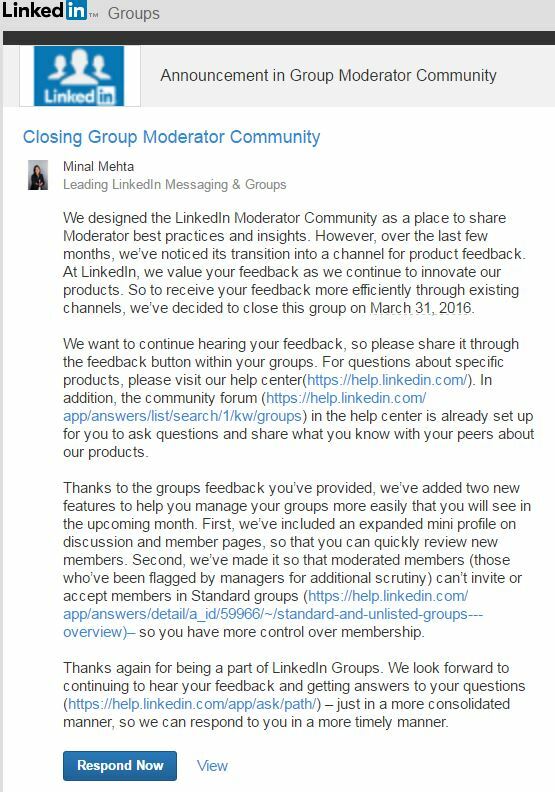 Call it irony or foreshadowing or just stupid, but LinkedIn today announced that, come March 31, they’ll be closing the group moderator community. In other words, we launched this community ostensibly because we cared about your feedback and trying to make LinkedIn groups useful, but we’re tired of your complaints so we’re shutting the group down and you can go back to submitting feedback that never gets answered. Or, the non-cynical reason could be that they’re having to make cuts because their stock is tanking and of course community management is on the chopping block. Funny how the very companies whose business models center around online community platforms are the first to get rid of their community teams. Radian6/Salesforce. Microsoft/Yammer.